Recycling is Mandatory in Netcong! 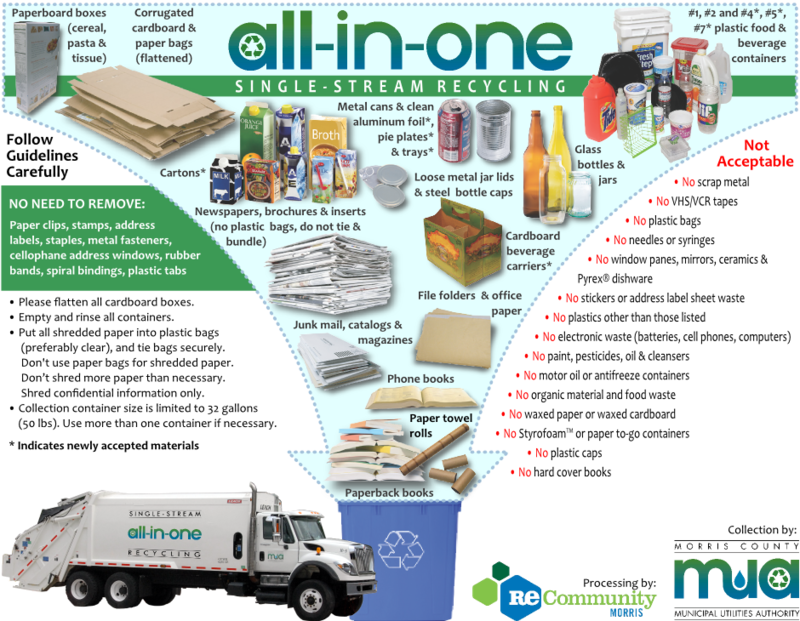 In order to further promote recycling efforts in Netcong the Borough, in partnership with the Morris County Municipal Utilities Authority has adopted a single stream, curb side pick up, program. See the list below for items that can be placed at the curb, every other Monday. Recycling will begin Tuesday, January 12, 2016 and will be picked up every OTHER week henceforth. Full schedule is available here. Check the Borough calendar for exact dates for curbside pickup or follow this link: Netcong Curbside Pickup Schedule. 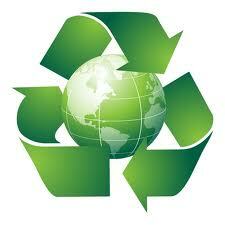 For more information on single stream recycling visit the MCMUA Single Stream page. Additional the Borough offers a Recycling Center, located on Flanders Road. Hours are Wednesdays from 8:00 AM to 12:00 noon and Saturdays from 8:00 AM to 4:00 PM. For more information including a map visit the Netcong Recycling Center web page. For further information on recycling or other waste disposal questions, visit www.MCMUA.com or call the MCMUA at 973-829-8006.